Fee: $29/$24 members - includes an autographed copy of Dreadful Young Ladies and Other Stories, refreshments from MKE Localicious, and admission to the sculpture garden. Register by phone at 414-446-8794. 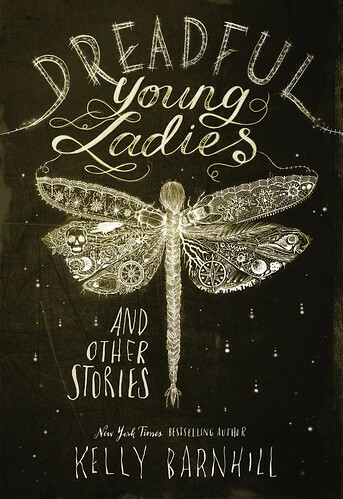 Lynden Sculpture Garden's Women's Speaker Series and Boswell Books welcome Kelly Barnhill, author of Dreadful Young Ladies and Other Stories, to the Lynden Sculpture Garden, Thursday, March 1, 7 pm. Jim Stingl of the Milwaukee Journal Sentinel reviews Dreadful Young Ladies here. She received the Newbery Medal in 2017, as well as fellowships from the Jerome Foundation and the Minnesota State Arts Board, and the McKnight Foundation. She is the winner of the World Fantasy Award, the Parents Choice Gold Award, the Texas Library Association Bluebonnet, and a Charlotte Huck Honor. She also was a finalist for the Minnesota Book Award, the Andre Norton Award and the PEN/USA literary prize. She has been on the New York Times bestseller list for a bunch of weeks now, as well as the Indie Besteller list. She is the author of the novels THE GIRL WHO DRANK THE MOON, THE WITCH’S BOY, IRON HEARTED VIOLET and THE MOSTLY TRUE STORY OF JACK, as well as the novella, The Unlicensed Magician. She has also written a bunch of grownup-ish short stories of various descriptions (Literary, Speculative, Odd and Otherwise) that have appeared in a variety of venues, as well as essays, poetry, and a small collection of very strange nonfiction books for elementary students. She is a teaching artist with COMPAS, a statewide community arts program.